As anyone who knows me in the real world is painfully aware of, I like roads. Especially Nebraska roads. I have logged nearly 6,000 edits on Google Map Maker, most of which have been in my home state. The number one thing on my bucket list is to drive every single state highway in Nebraska. When I was in third grade, I memorized the map of Lincoln. I could tell you where any road was. I still look at maps just for fun. As a result, I am VERY familiar with Nebraska highways, and it has come to my attention that there could be some improvements made. There are several segmented highways, highways of questionable state value (the poster child of which is above), and routes that really should be considered. In addition, Nebraska hosts highway numbers into the 300s, while missing many smaller numbers. I feel that, with a bit of reorganizing and a few grants, Nebraska’s highway system could become even better. The goal of this blog is to show how I would reform Nebraska’s highway system and see what you think about it. Who knows, maybe some NDOR employee will see this and implement a few of these changes! Stick to Nebraska’s current system of roads. 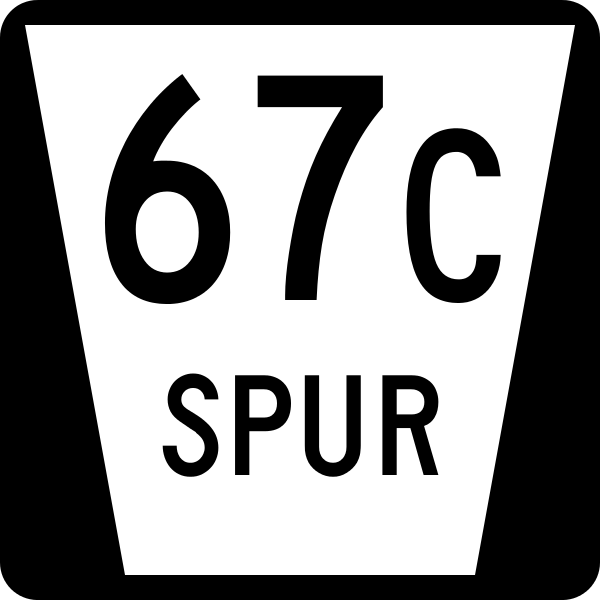 In other words, numeral designations for mainline highways, L-XY format for link highways, S-XY format for spur highways, R-XY format for recreational highways. Nebraska has a solid system in place that people are used to and I am rather fond of (even if Google Maps hates it). I know some will argue for the more traditional spur designations such as the ones the Interstate system uses, but I’m sticking with what we’ve got for now. At the very least, it means a lot less redesignations and thus less costs to re-sign everything! Mainline highways must begin and end at junctions with other highways. A majority of state highways do this anyway, and a mainline highway needs to lead somewhere. See N-66 in Louisville as one current exception to this rule. No changing federal highways (U.S. and Interstate) unless absolutely necessary. Additions are okay within reason. Basically, these aren’t controlled by Nebraska, so changes would be silly. Highways cannot be segmented. Again, using N-66 as an example: it has no less than FOUR segments in Nebraska. Now, that’s just silly. Highways cannot have more than two digits. Nebraska doesn’t have over 100 highways. There is no need for this. The exception to this rule is federal highways, as those use a different system and would have a national effect. Highways should continue their numbering when passing into other states whenever possible. This may involve asking other states to change their numbering if necessary, but it must fit an opening already present in that state. For example, N-50 becomes K-63 when crossing the border. Kansas does not have a K-50, so asking for the number change would be reasonable. If a state highway has three digits in another state, it can become the two-digit root (i.e. K-148 could become N-48). All highways should be paved. This should be self-explanatory, but there are four segments of current state highway that this does not apply to currently: N-67 between U.S. 34 and N-2, N-18 near Stockville, N-65 south of Pawnee City, and our lovely poster child again, S-67C as it comes off of N-65. Costs need to be kept to a minimum. Namely, no making brand new roads or paving roads unless absolutely necessary to complete a segment or to reduce problems. No repeating numbers already in use. For example, we have I-76, so there cannot be a N-76. This helps reduce confusion. As many highways will be left the same as possible. This reduces confusion, costs, and angry people. Fun, yes? Let us begin.